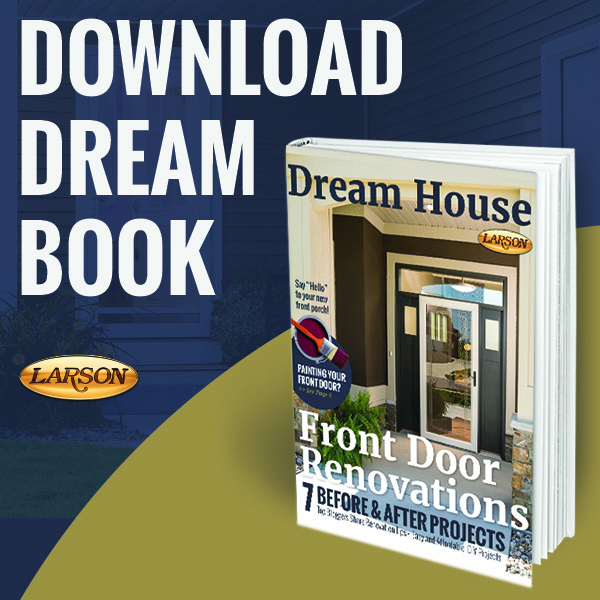 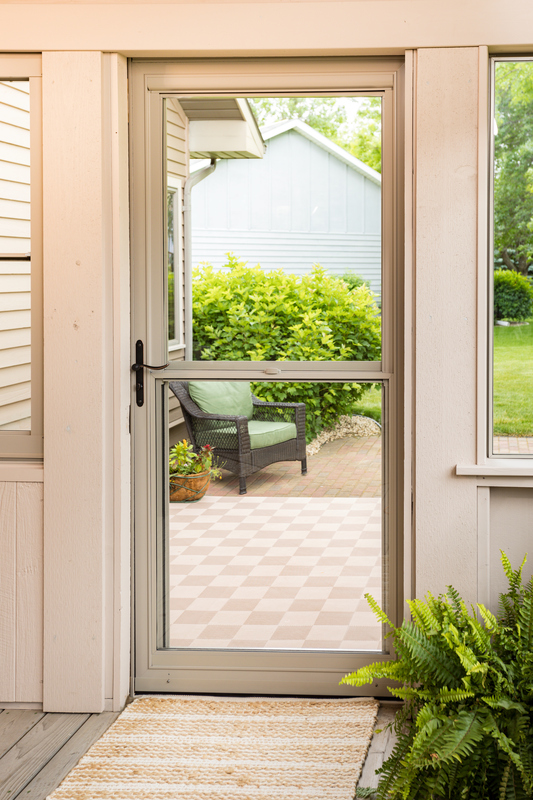 Life happens at your front door; welcome guests into your home through sandstone LARSON storm door. 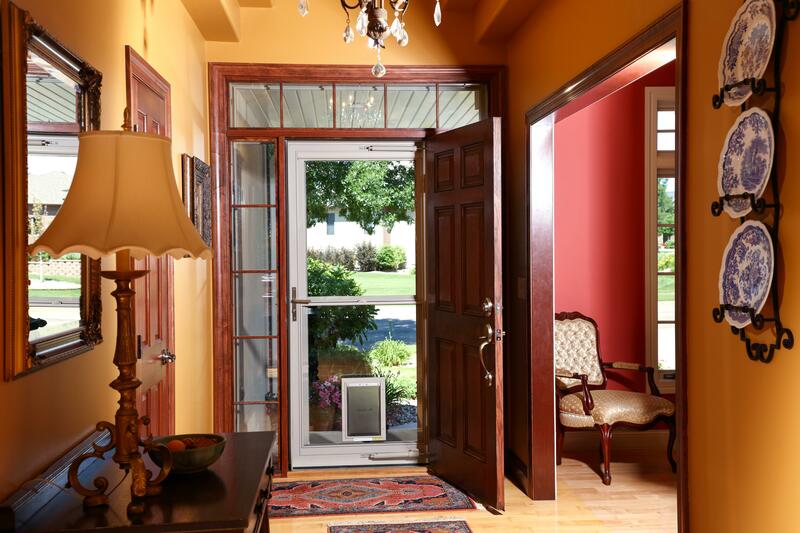 This versatile color complements many prime door colors, and is the perfect neutral tone. 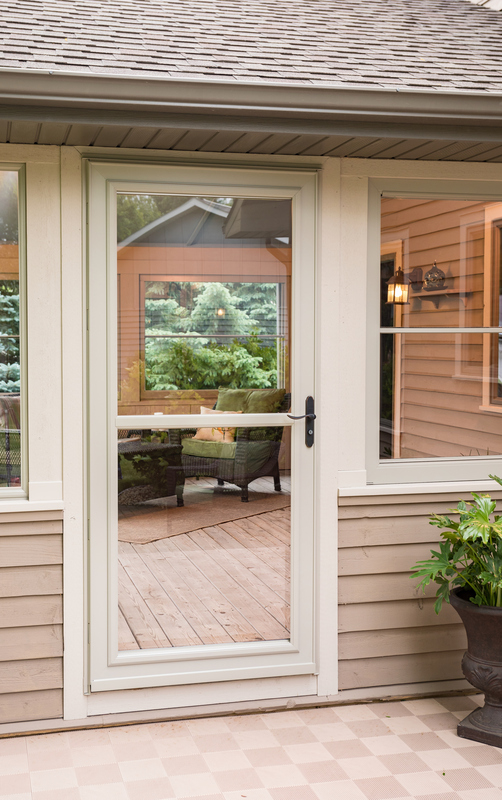 Sandstone storm doors look great with any of our seven hardware color options - brushed nickel, brass, aged bronze, antique brass, white, sandstone and brown. 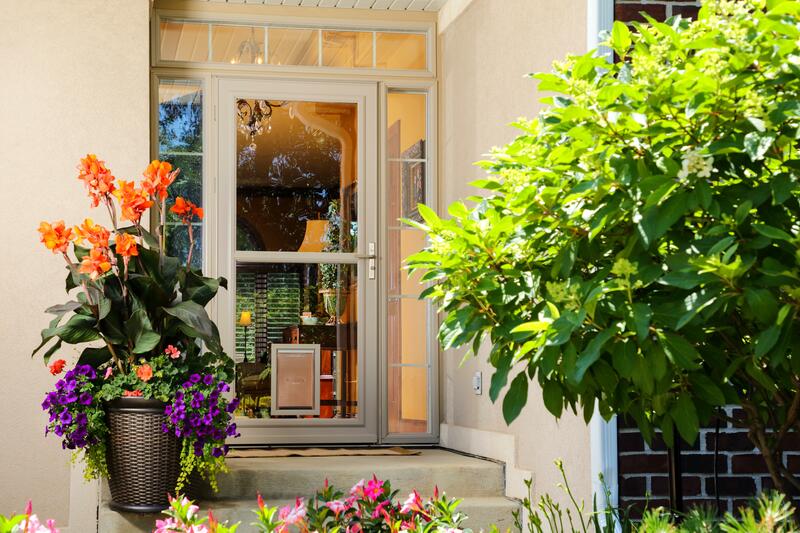 Check out some of our favorite examples of sandstone storm doors on various homes.